This thread contains mods and addons that I've compiled for SpaceEngine. All of the items here were either created by me or processed for SpaceEngine by me. Browse and enjoy! Note: for mods and addons compatible with 0.9.8.0 and later, see my modding thread on the new forum. This thread will not be updated anymore. 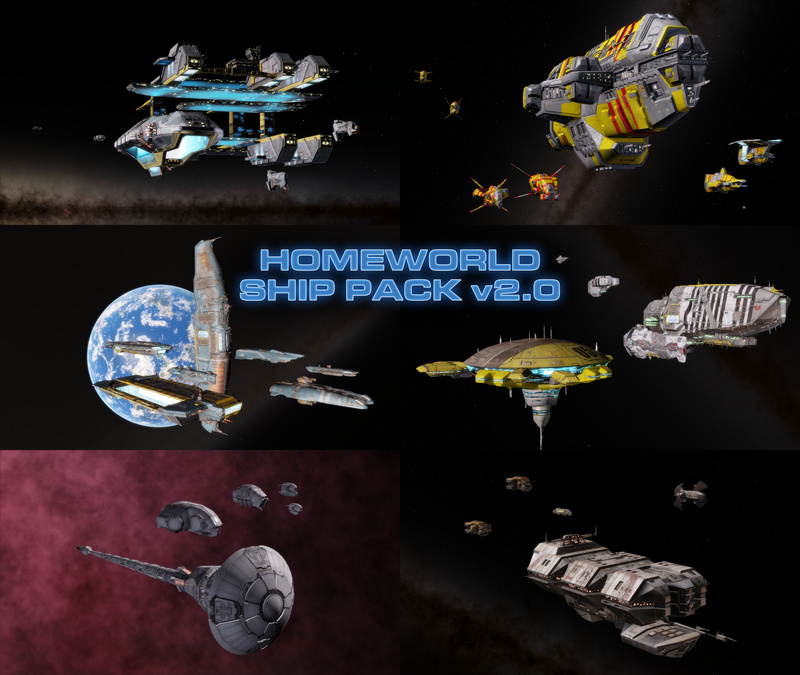 This list is for releases of ships I've ported to SE from elsewhere (or even made myself). If I release a large ship pack from a certain universe then I might be able to accommodate requests for other ships from that universe, but generally I can't take requests, so please don't make them. Click on any preview image for a high resolution version. 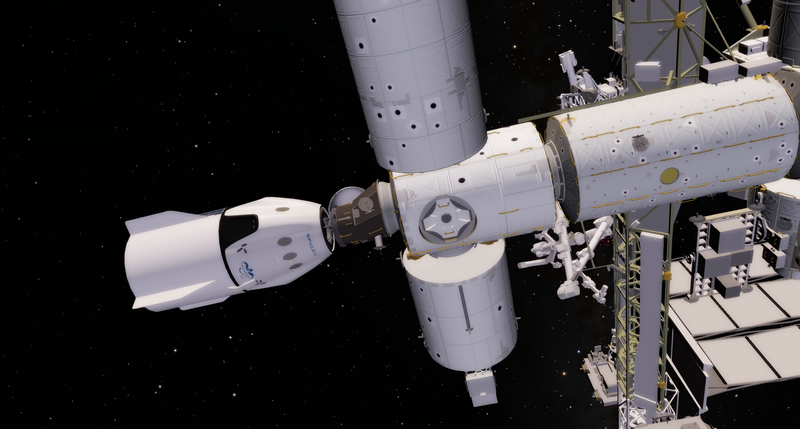 The installation instructions for all ships are the same: extract the folders from the archive into your SE directory and merge with the existing folders, then copy the contents of the config_script.txt file (if included) and paste anywhere into your config/spacecrafts.cfg file. If you have questions about any of the releases, check its readme file first before asking about it here. This is a direct port of an excellent Celestia addon by Jestr. More notes are in the readme file. The NASA space shuttle from Orbiter. 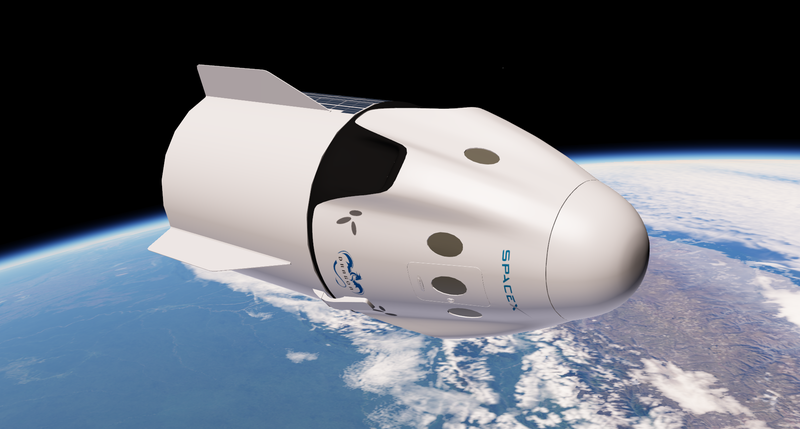 The model in the "active" configuration has been scaled up by 20x to allow navigating the interior without significant clipping. If you want to scale it to match the others, simply edit the appropriate .sss and .cfg files with any text editor. 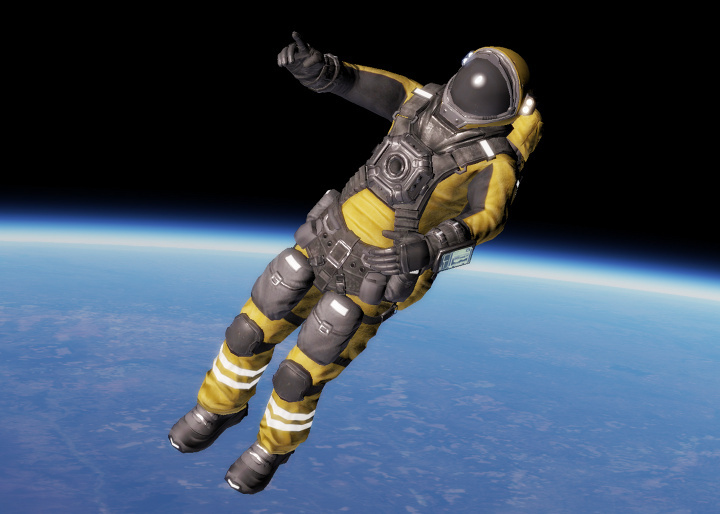 A Note About Skins: There are 4 textures available for the models: Atlantis, Endeavour, Discovery, and Columbia. However, only Atlantis is assigned by default. 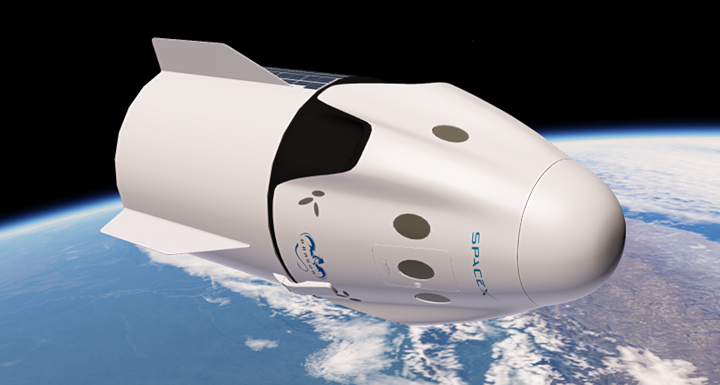 To change which texture is used, go to the /textures/spacecrafts/addons/Real/spaceshuttle.sml file and comment/uncomment the appropriate lines you want to change textures for (the specific lines are noted in the .sml). If you want to use models with different textures simultaneously, you'll have to copy/paste models, rename them, rename materials, and/or add material listings, so it's clearly most convenient to use only one skin at a time. Hopefully in the future support for having multiple skins per model will be added and this will become unnecessary. 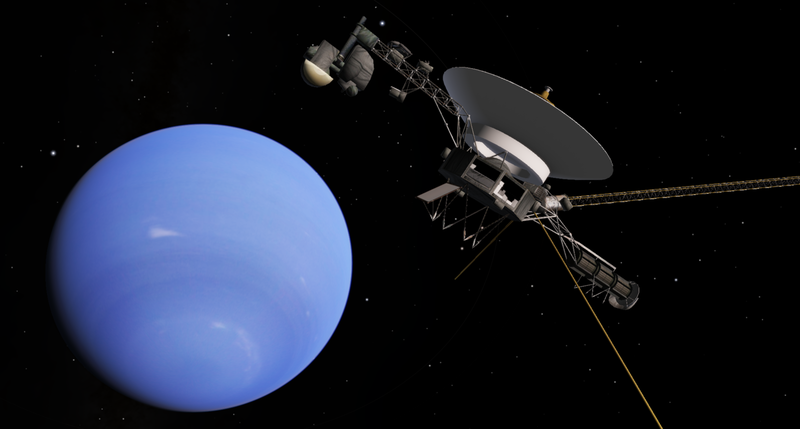 This is NASA's Voyager spacecraft. 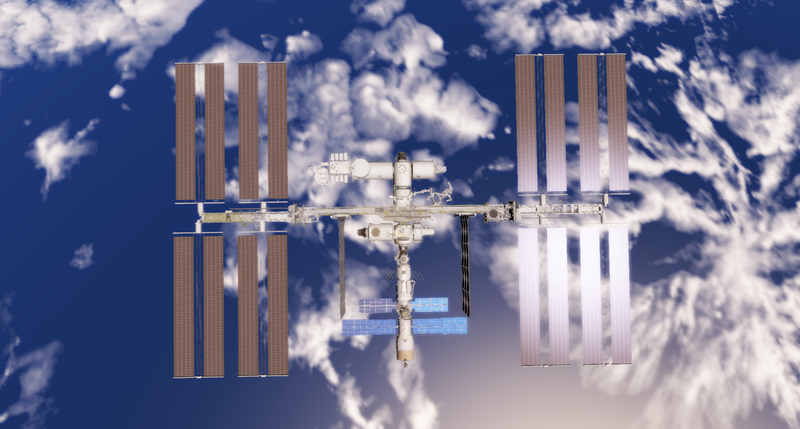 Originally ported to SpaceEngine by DoctorOfSpace. 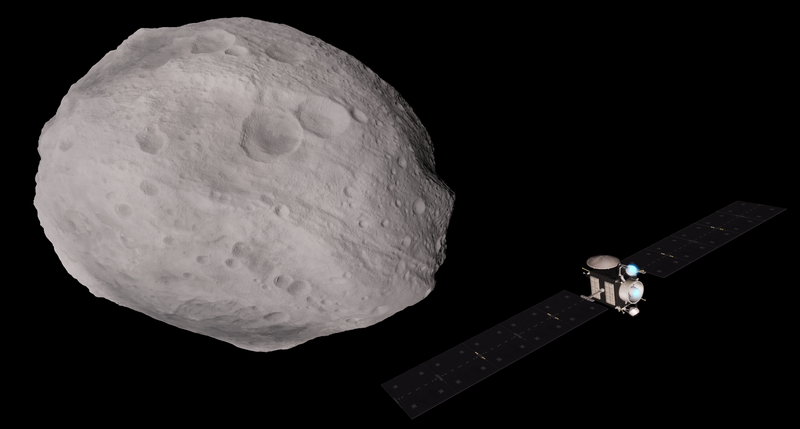 This is NASA's Dawn spacecraft. 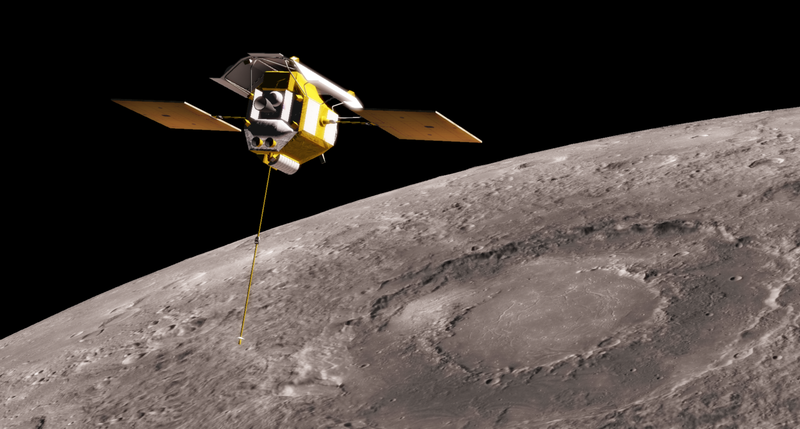 This is NASA's MESSENGER spacecraft. 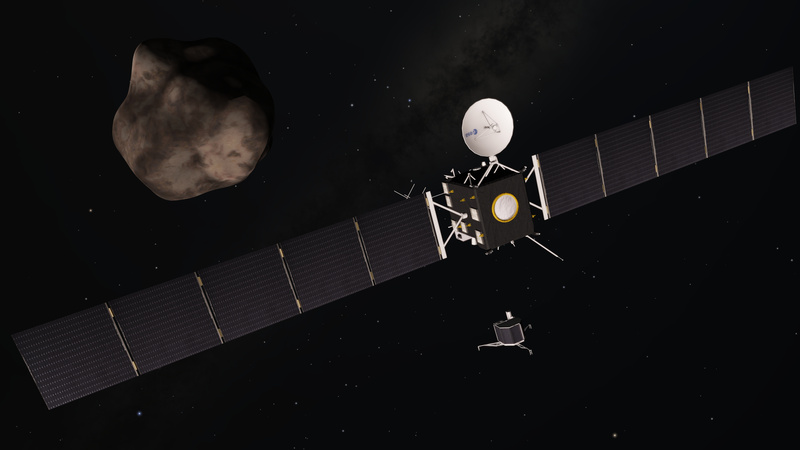 This is ESA's Rosetta orbiter and Philae lander. This took a huge amount of hard work and frustration to get to where it is, and it's probably as good as it's going to get. There are a few problems with it, and it may be possible to fix them, but most likely they won't be. 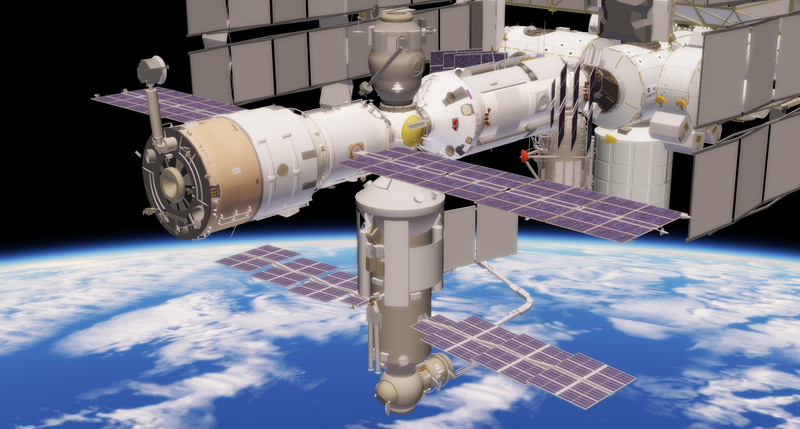 This is the International Space Station as it is planned to appear after the installation of the Russian laboratory module Nauka (though at this rate it might never launch). 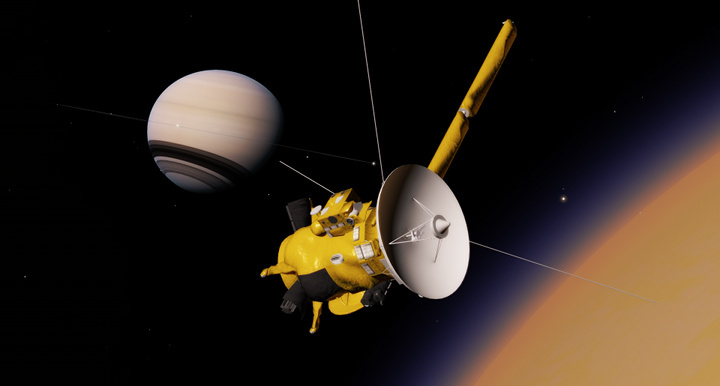 This is NASA's Cassini spacecraft with ESA's Huygens probe attached. 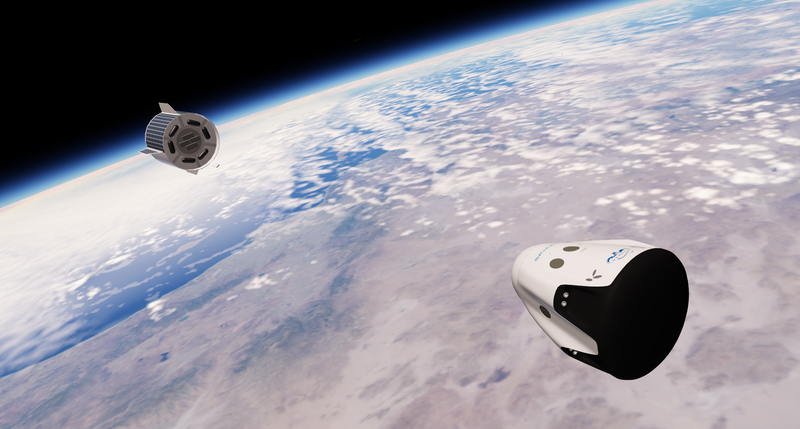 This is the SpaceX Dragon V2 manned orbital reusable spacecraft. There are several model configurations included, see readme for details. Model and textures by Jon Ross (zlsa), released under CC-BY. Slight texture and material tweaks/additions by HarbingerDawn. 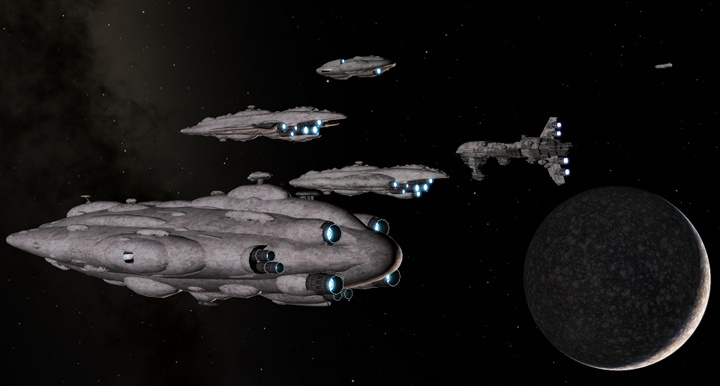 Ships from the Homeworld universe, ported from the games. Full list in the readme file. This is a large pack of Imperial ships from the Star Wars universe. 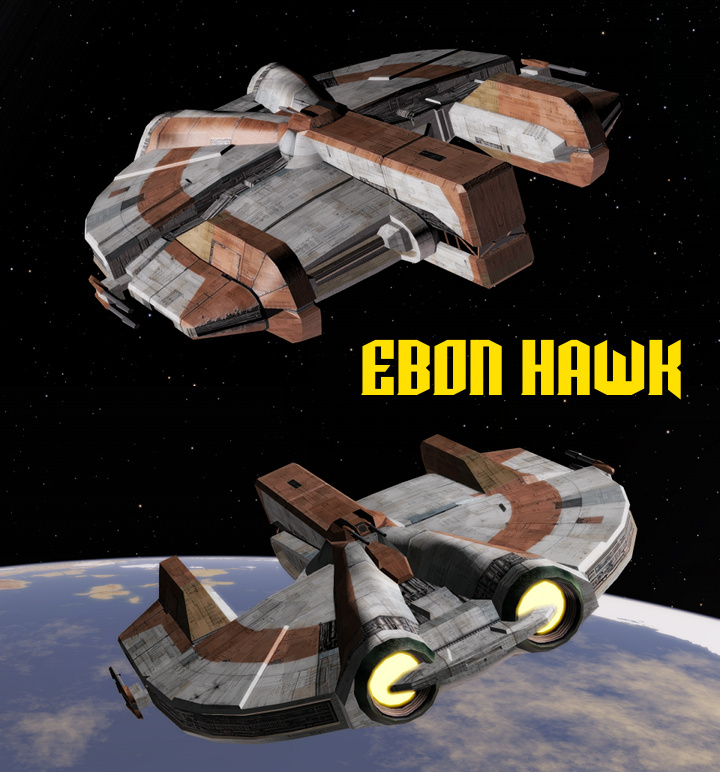 This is the Ebon Hawk from Star Wars: Knights of the Old Republic. This is a pack of Rebel Alliance ships from the Star Wars universe. It is still a work in progress and will contain many more ships when completed. 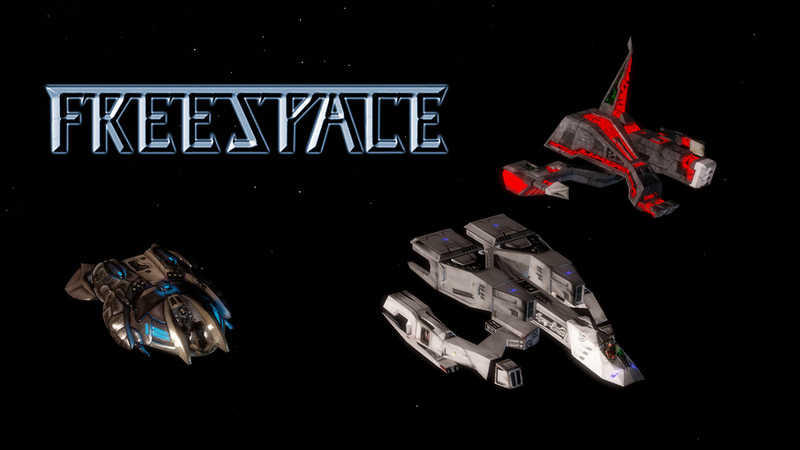 Ships from the Freespace universe, ported from the games. Full list in the readme file. For 0.9.7.4 ONLY. See readme file for installation instructions. 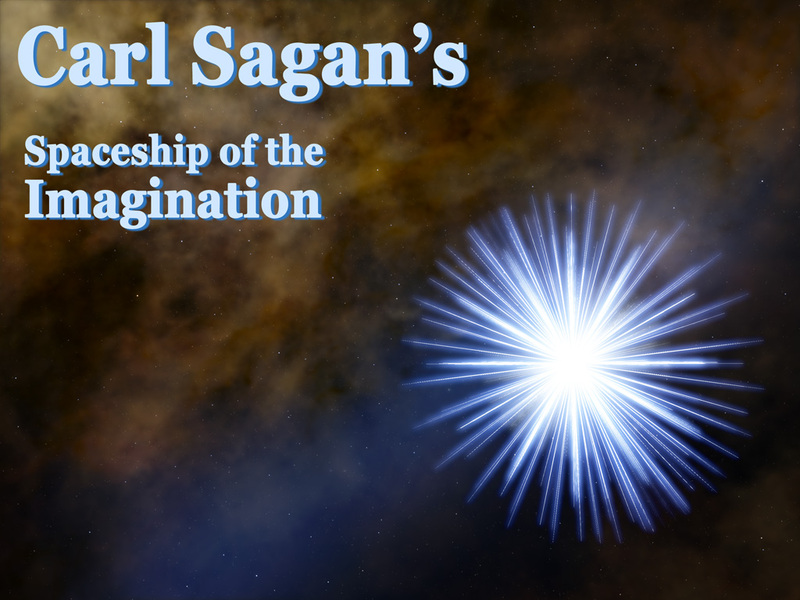 This is the Spaceship of the Imagination from Carl Sagan's Cosmos series! 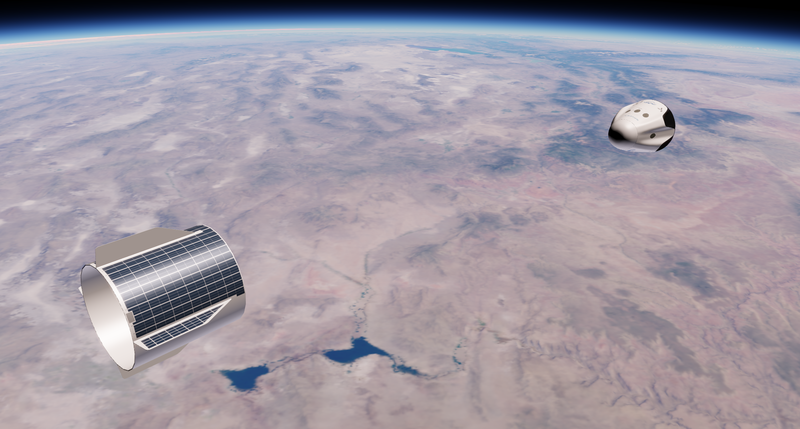 Original design from Carl Sagan's "Cosmos: A Personal Voyage"
This is a direct port of the astronaut from Space Engineers from the model and textures made by the developers. All colors are included but can only be used one at a time. See readme for details. This is the cockpit of an E-Wing starfighter from Star Wars. 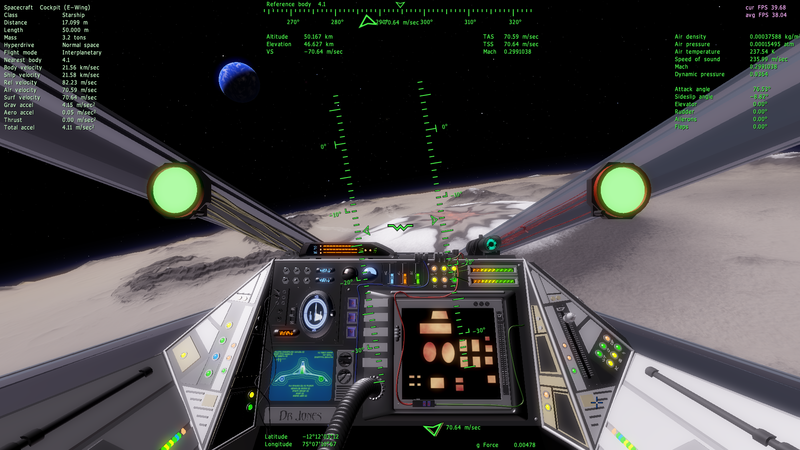 It is a standalone cockpit with no associated ship. This list is for shader mods that I've made, either by myself or with other people. 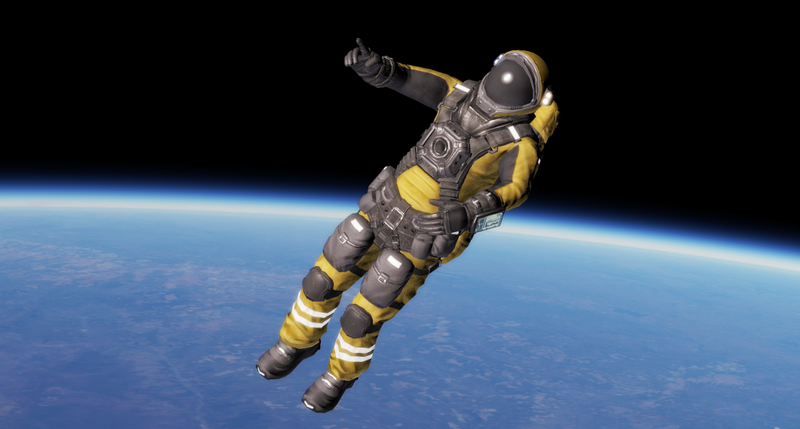 The installation instructions for all shaders are the same: simply extract the archive to your SpaceEngine folder, and merge with the existing folders. 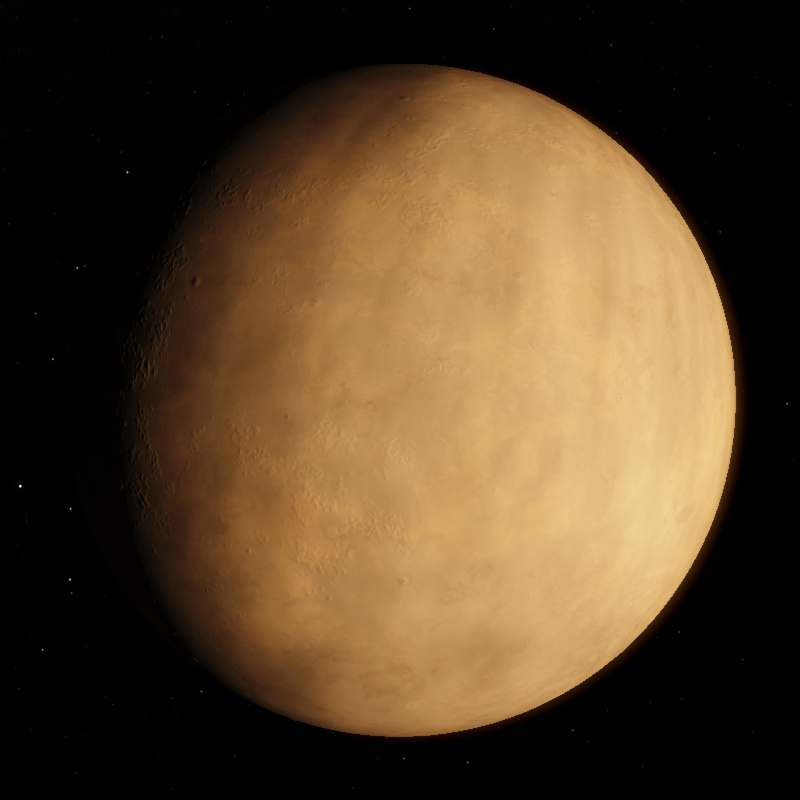 This shader modifies the new large-scale albedo variations that are generated for some planets (most noticeable on deserts). With the original shader (left), the features are very gradual and gently curve around the planet (IMO they look like atmospheric features, not surface features) on terras and deserts, and can cause extreme changes on selenas. With my shader, the features show a lot more small-scale variations, and look more like the random deposits of light and dark material they were meant to represent. 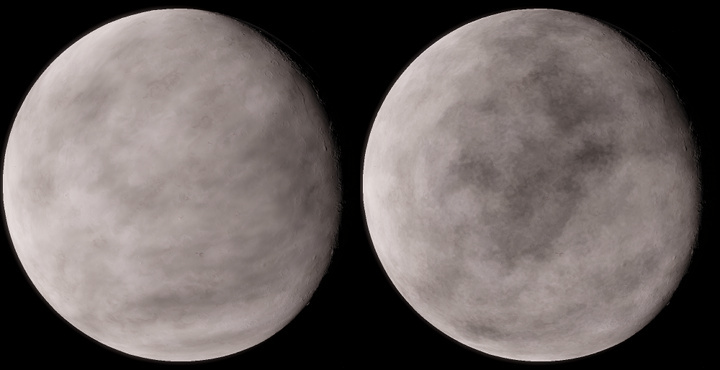 These shaders modify the landscapes and color patterns of asteroids. Specifically, the height shader completely removes the "hills" terrain that makes so many asteroids look like weird wrinkled messes. It also adjusts the height and depth of craters to be more realistic. 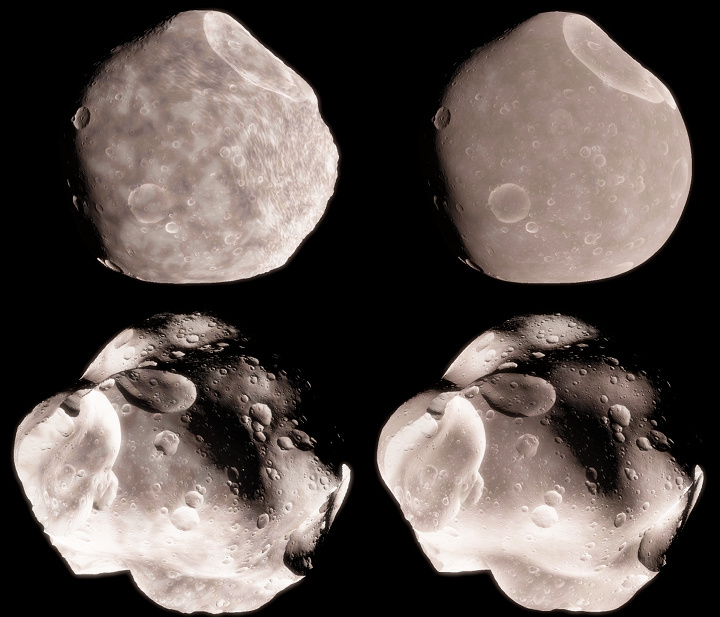 The color shader makes the color patterns on the asteroid more subtle and natural-looking. This shader removes the realistic dimming of star streaks caused by motion blur and instead causes them to appear as bright as the original star along their whole length, giving an unrealistic Star Wars-like hyperjump effect. 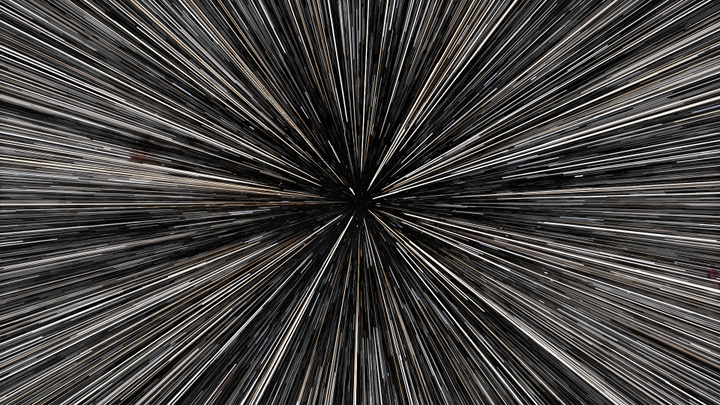 This shader increases dimming of star streaks caused by motion blur to more realistic levels. There is no screenshot for this shader as it's difficult to demonstrate it in a static image. This list is for texture mods and addons that I've put together for SE. The installation instructions for all textures are the same: simply extract the archive to your SpaceEngine folder, and merge with the existing folders. This is a mod for the emissive texture of SHW's ships. It changes the color (temperature) of the radiators to something that, to me, seems more realistic and pleasing, and gets rid of a couple of lights (specifically, the x-shaped red light on the docking ring, and one of the window lights). 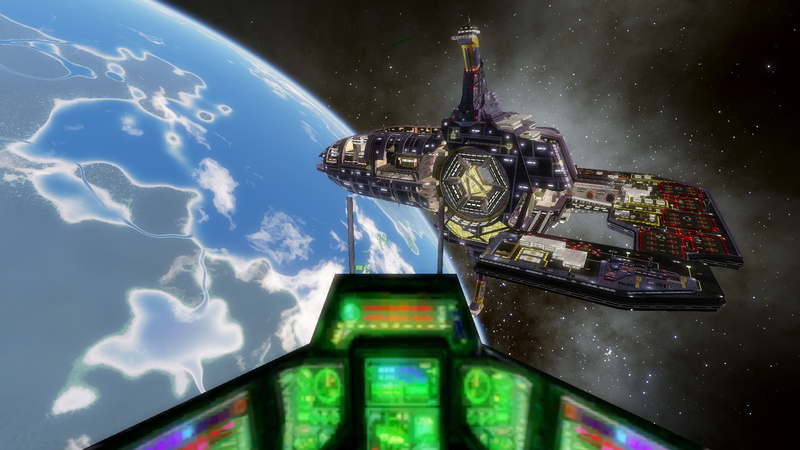 Comparison screenshot below. This mod updates the backlit texture of Saturn's rings to match the latest Cassini imagery, and also adds fake ring-shine on the planet via a night map. 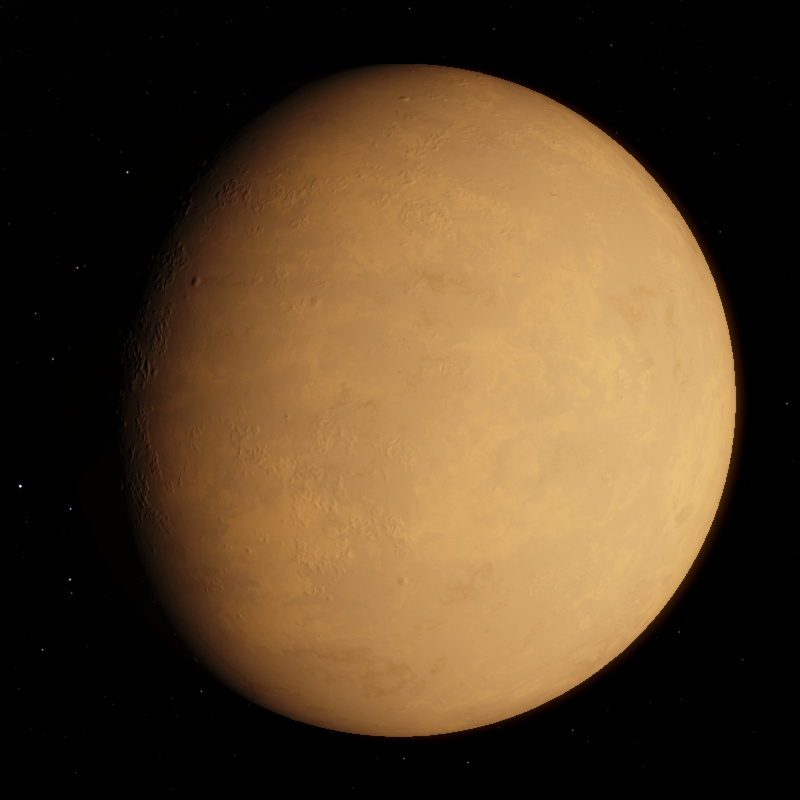 For the other maps, replace "Summer" with "Winter" or "Cassini" (the one shown in the screenshot). 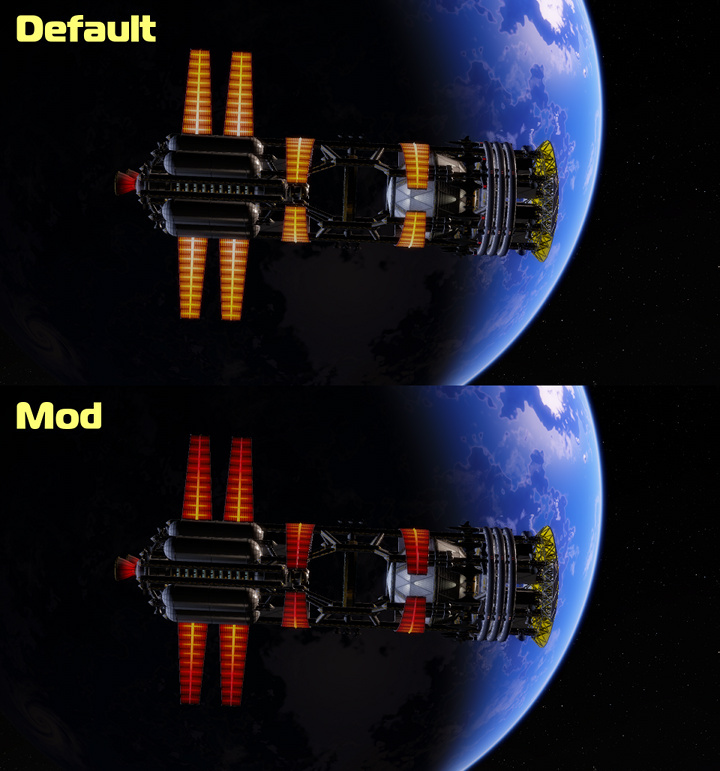 Note: Turn "Real planet brightness" off while using this mod. This list is for atmosphere models that I've made for SE. 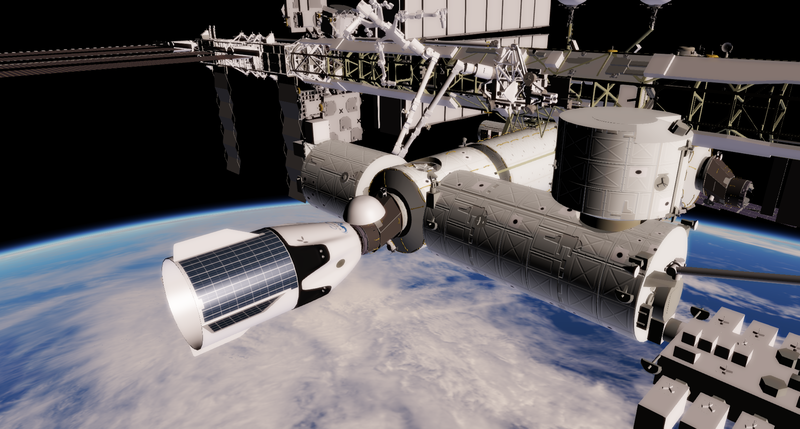 The installation instructions for all atmospheres are the same: simply extract the archive to your SpaceEngine folder, and merge with the existing folders. Alternatively, the atmosphere script can be used to generate the atmosphere (for advanced users). Modify your catalog file(s) to use the atmosphere if instructed. This atmosphere model attempts to replicate Pluto's atmosphere as shown in New Horizons photos. This list is for any fixes I could make to bugs or errors in the default distribution. This "fixes" (read: circumvents) a bug that causes catalog planets with no specified SemiMajorAxis and no specified Radius to have an infinite size, which causes glitches and can send your camera to the edge of the universe. I tried to fix all affected planets, but I may have missed some, please report any that are still broken. 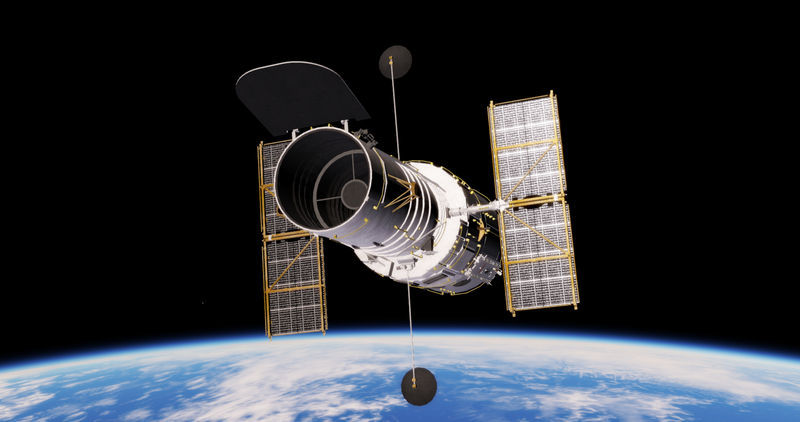 The Hubble model is very nice. In regards to the other packs, we should do more collaborations in the future. 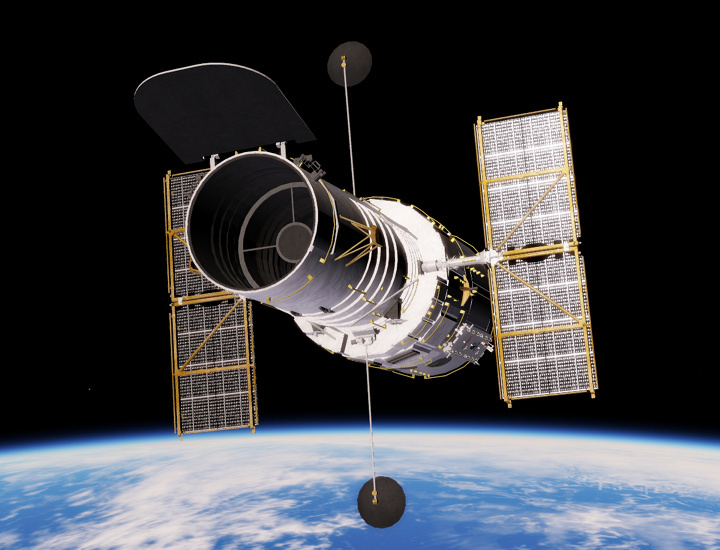 I have just installed the Hubble model above which looks lovely, but it isn't orbiting the Earth as it should be. 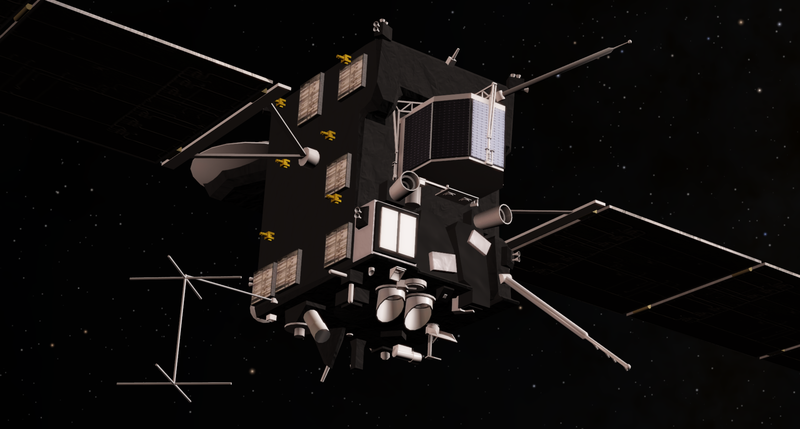 Is this a limitation of Space Engine or an error? I use Celestia extensively at the moment in the lecturing and teaching that I do. 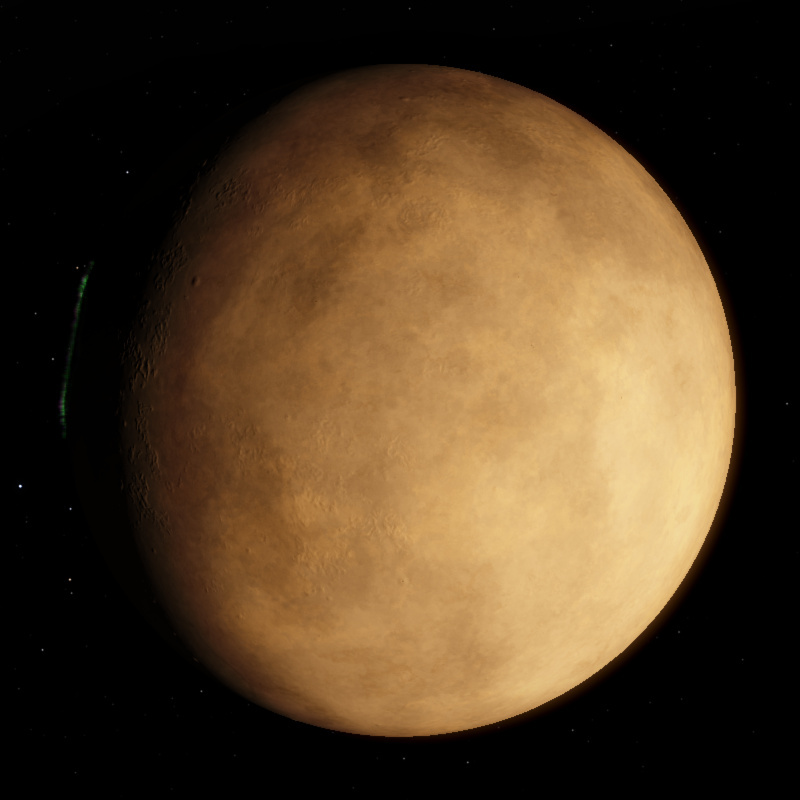 I am currently looking at alternatives (including Space Engine) as Celestia development has entirely dried up. 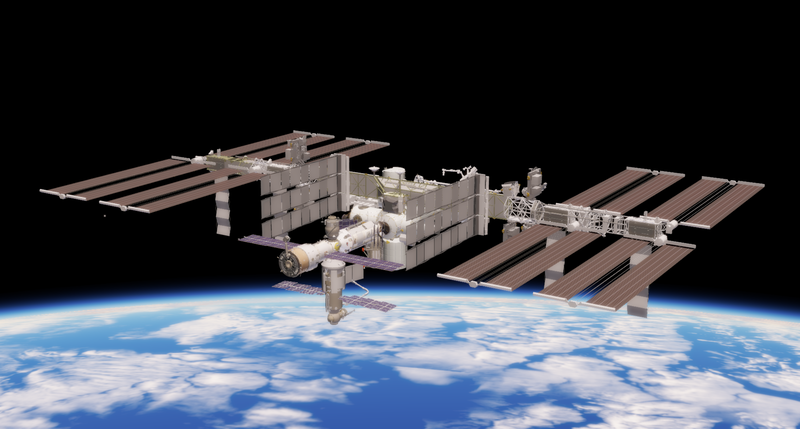 It is important for my purposes to have models of things like Hubble and the ISS in their proper obits, is this achievable? The former. Static orbits like in Celestia are not supported right now (hopefully in the next version they will be). 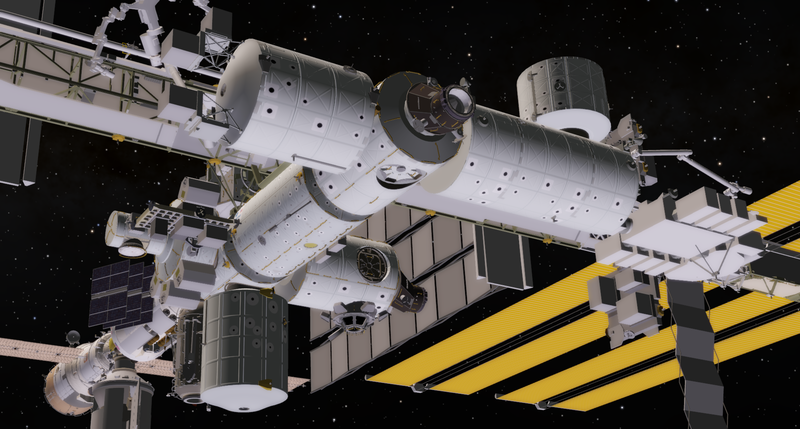 I share your desire for that functionality to be extended to SE, and with any luck the next version will have static orbits and everything else we could possibly want in that regard I also have a lot more spacecraft that I've been working on, including a very nice ISS and an updated version of this Hubble, so with the next version will come a deluge of goodies. This is truly excellent. Please, do make more! Thank you for your response, I will keep tabs on the new releases. If static orbits are implemented I can see this working as an excellent tool for my job in educating pupils and the public about space. 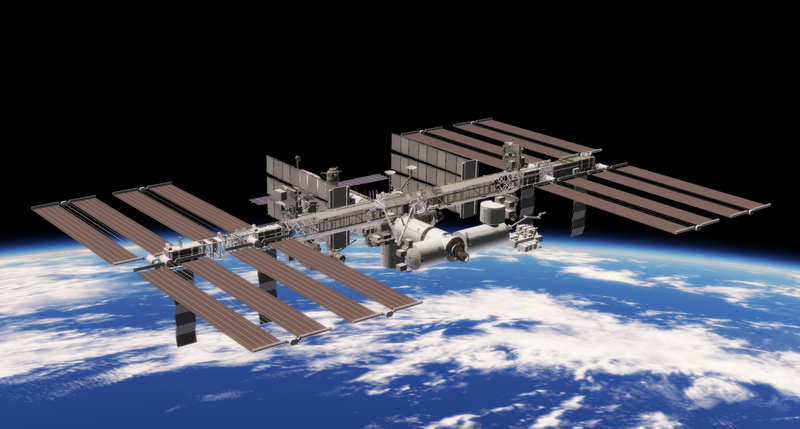 I look forward to seeing your ISS model, 3D modelling is not a skill that I (or a great number of others!) possess, so I really appreciate the people that take their time to produce this fantastic content and make it available to others. Updated the Hubble addon for 0.9.7.1 (it now orbits the Earth! ), and also released the Spaceship of the Imagination and the first version of my Homeworld ship pack. Enjoy! 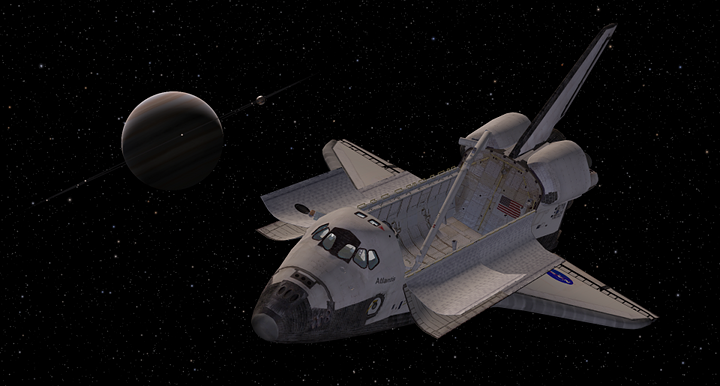 Added the NASA space shuttle. Hey Harbinger, I', loving the mods man, they are GREAT! I have a question about the Space Shuttle. I downloaded the mod in the folders and I can build the shuttle, but when I go to take control, I get the Heads up display but no ship. I'ts like the ship is there but the model itself isn't. I tried re-installing it but that didn't seem to work. Any advice? Also, are there any orbiting tutorials? I'm trying to get Hubble into to orbit but it's damn near by the moon lol. Also, are there any orbiting tutorials? 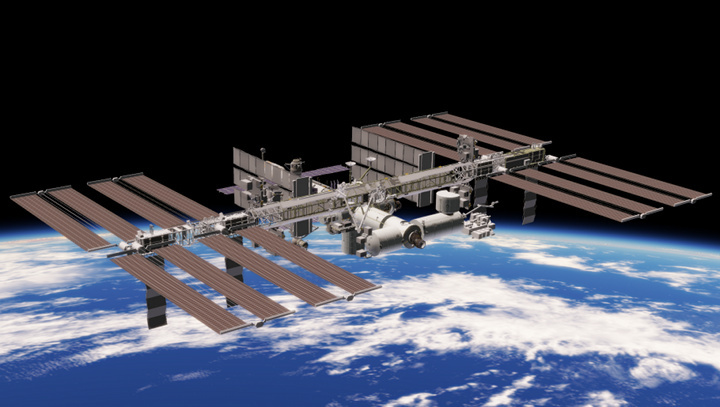 All information with regards to getting Hubble placed properly in Earth orbit should be in its readme file. It's not configured to be a pilotable craft, so all you can do with it ingame (control-wise) is rotate it. If you still want to fly it places you can input the cheat code "ufo" into the console, which will enable ships to operate like in the previous versions. There's no reason why it shouldn't work. It works for me, and I asked DoctorOfSpace to download and test the ship on his computer and it works for him too, so I don't know what the issue might be. OMG thank you so much for that! Was trying to figure out what UFO mode was all about. You just made my day! 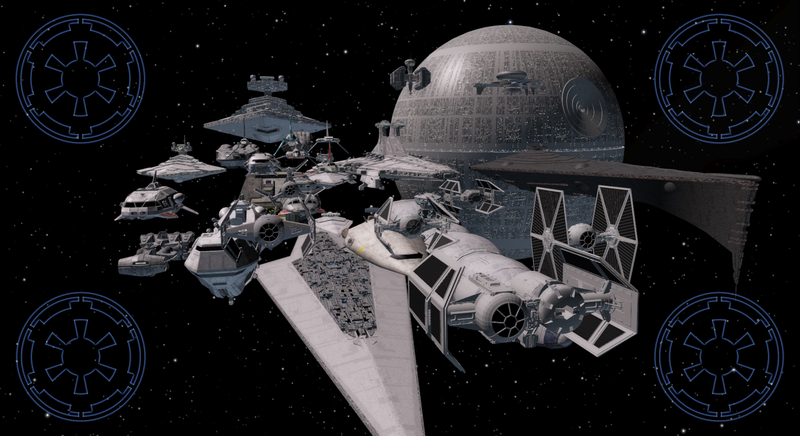 Added the Star Wars: Imperial Ship Pack. If you want to see what it contains, its readme file is attached to this post. Hotfix for my Imperial Ship Pack; there was a typo in the .sss files which prevented the custom main engine values from working. Just extract the archive into your SE directory and overwrite the existing files.